Lulu's Garden: Cluck, cluck, buh-cawk!!! A certain grandpa pig in a cartoon I like has lots of problems with chickens eating his plants in his garden. But chickens can actually be great garden helpers. I've been finding out about the good things they can do. Chickens love eating slugs and other insects and the eggs that the chickens lay have more protein in them which helps us grow big and strong. It's a great idea to let them peck over your veg beds after harvest time so they can clear out any pesky weeds. They especially like eating chickweed (can you guess how that weed got its name?) and also like dandelion, comfrey and dock leaves. You can use crushed up egg shell around plants to stop slugs and snails munching them. The broken shells are too jaggy for the slugs and snails to slide over. Eggshells also contain loads of calcium, something needed by plants like tomatoes, peppers, and aubergines to grow big and healthy. Giving tomatoes eggshells can help prevent blossom end rot. You can crush the shells up as fine as possible and sprinkle onto your soil or add to you watering can. They can even make plants taste more sweet or alter the colour of some flowers all due to the calcium raising something called the pH of your soil. Empty eggshells can also make perfect containers in which to sow seeds. Not only do they provide added nutrients to the seedlings as they grow, they are naturally biodegradable and will break down when the roots lengthen. 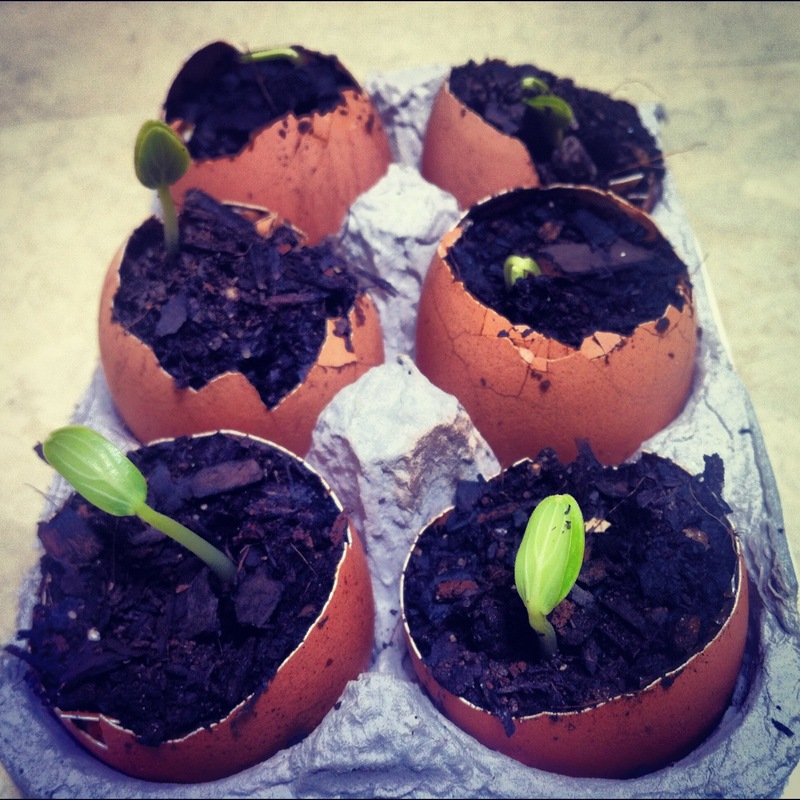 Just fill empty eggshells with seed compost and add your seeds. Chickens made loads of poo. They poop has lots of something called nitrogen, another thing that plants need to grow big and strong. It's especially good for blackcurrants and plums as they need lots of nitrogen. Because it tends to be slightly alkaline don't add it to blueberries, heathers, camellias, azaleas or rhododendrons You do need to be a little bit careful with fresh chicken poo as it may contain bacteria that can be harmful to us. Make sure to wear gloves when working with it and don't breathe in the dust. Dried and processed poultry manure products you buy are normally sterilised during manufacture, so are less of a risk. The brainy folk at the RHS have a handy guide on using chicken manure in your garden. In addition to making poop to put into compost, chickens can help speed up how quickly compost is made in your garden as they can break down any larger food scraps. This will also keep unwanted pests like rats away from your compost heap. Chickens love a good scratch and dig about when they're looking for food. Make use of these habits to get them to mix manure or mulch into the top layers of soil. That scratching is also an easy way to get more air into your lawn, allowing it to grow in fuller and healthier. Just don't leave them on your lawn for too long or you may end up with more of a muddy mess than a lawn. We all know that stroking a pet cat or dog makes us feel nice and relaxed. That's because it releases something in our bodies called oxytocin. 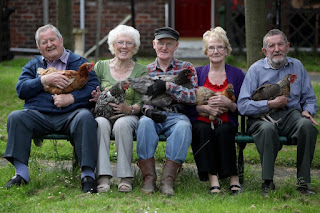 Looking after chickens can have the same effect. Believe it or not there are actually hens employed as therapy chickens! That's where chickens help those that are feeling lonely or very sad to cope better. A scheme called Henpower is helping elderly folk feel less lonely. 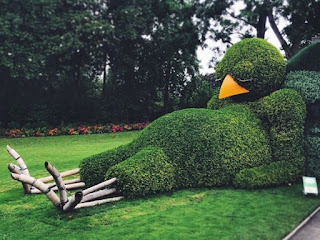 Who would have guessed that getting some feathered garden helpers could help you stay happy? As helpful to gardeners as chickens are, you can't just let them run wild in your garden all the time as they don't know they're not allowed to eat your prized veggies. You need to think carefully about where best to house their run. Ideally it should be covered over and not too close to trees as hungry foxes have been known to climb trees and jump into chicken runs. Having it up against a fence means they will get a bit of shelter from the wind and you don't need to build as many walls. Make sure to dig down and lay the wire about 30cm below ground level so those cunning foxes can't dig under it. Remember that any grass you place your run on top of won't stay as grass for too long when the chickens start scratching the same bits over and over. So don't place the run right in the middle of your lawn. 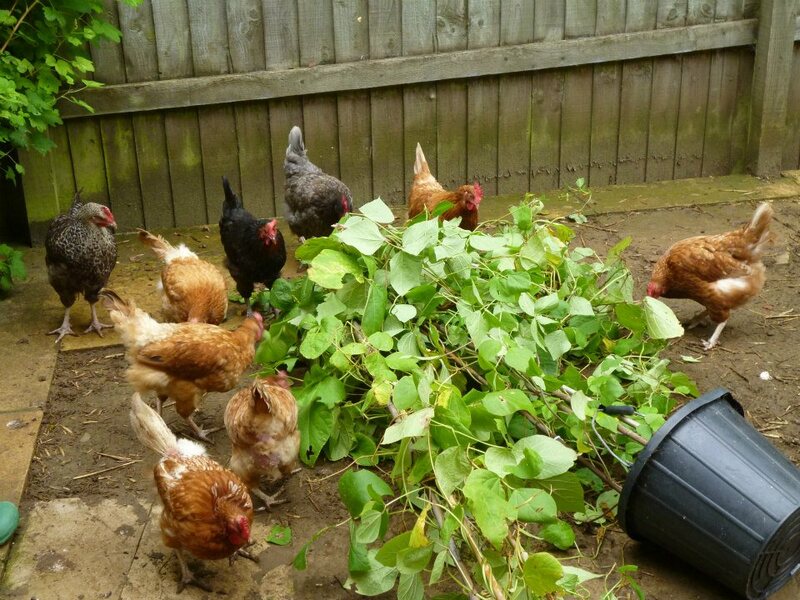 It's also a good idea not to tempt chickens by placing containers of prized plants within the reach of their coop. Did the container fall or was it pushed?! 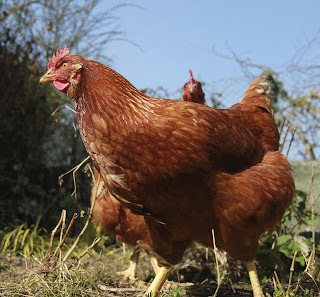 With names like Gingernut Ranger, Scots Dumpy and Miss Pepperpot, there are some fab breeds of chicken you can keep in your garden. Have a look at the cool list on the Omlet website to find your favourite. Some like Miss Pepperpot and Gingernut Rangers make great pets as they're happy, peaceful birds. Others like Old English Game and Norfolk Greys love a good forage in your garden collecting weeds and bugs. I never knew there were so many reasons that us gardeners should consider keeping chickens and I haven't even mentioned eating their yummy eggs!